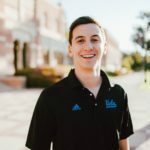 WESTWOOD — After a mountain lion was noticed taking residence in the bushes adjacent to Young Research Library (YRL), many students have taken to the big cat, shifting attention away from Powell Cat, a house cat that lives under Powell Library. “Because of the mountain lion, I wasn’t able to get to my class at Broad Art Center, but at least I got to see a mountain lion eat a squirrel,” said second-year Lisa Fender, who later saw the mountain lion feast on several more squirrels. 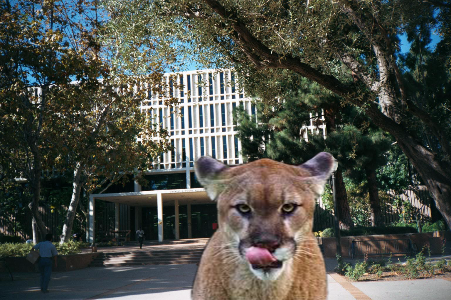 “A lot of people think Powell Cat is cool because they can feed it and pet it, but YRL Mountain Lion is my pick because it has the bad boy vibe.” The mountain lion was later seen studying differential equations modeling declining wildlife populations on the library’s fifth floor stacks. Carl Hatch is from Long Beach, California, or more appropriately, Strong Beach. He has also seen the video "Llamas With Hats" and The Walking Dead, so don't even ask.